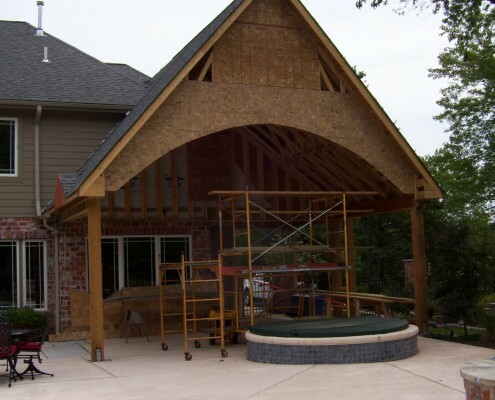 The following building process describes how we handle new home construction. 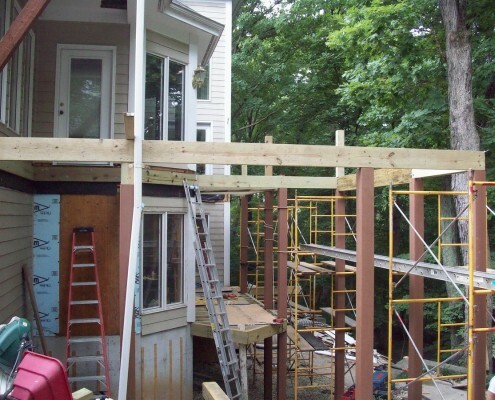 However, we take the same care and follow the same principles with all our projects, including home renovations, home additions, and screen room installations. When you hire Heartlands, you hire the best. 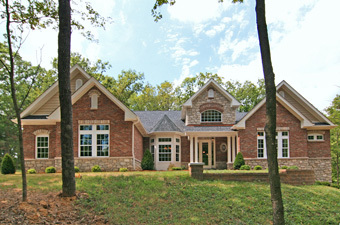 When you choose Heartlands Building Company, you have chosen a true custom builder. We have a passion for carpentry and a commitment to craftsmanship. You work directly with us here at Heartlands. We are in your home regularly, making sure things are being done properly. The Heartlands team assists you and coordinates in the design of your home, then articulates your ideas to the carpenters. This eliminates extra layers and misunderstandings. We return your calls; there is no buffer or middle-man. We ensure that you are a satisfied customer. 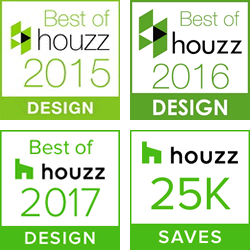 Heartlands creates an unforgettable experience of service and craftsmanship. Perfect framing delivers perfect results. Heartlands’ carpenters frame our homes. All framing is plum, square, and tight. If you want a house to perform over time, you will want Heartlands to frame it. Our framers take great pride in what the client never sees. Framing is a lost art. Walk one of our framed houses, then walk one of our competitors’. A novice will see the difference; an expert will be amazed. Before framing starts, Heartlands squares up the house on the foundation. 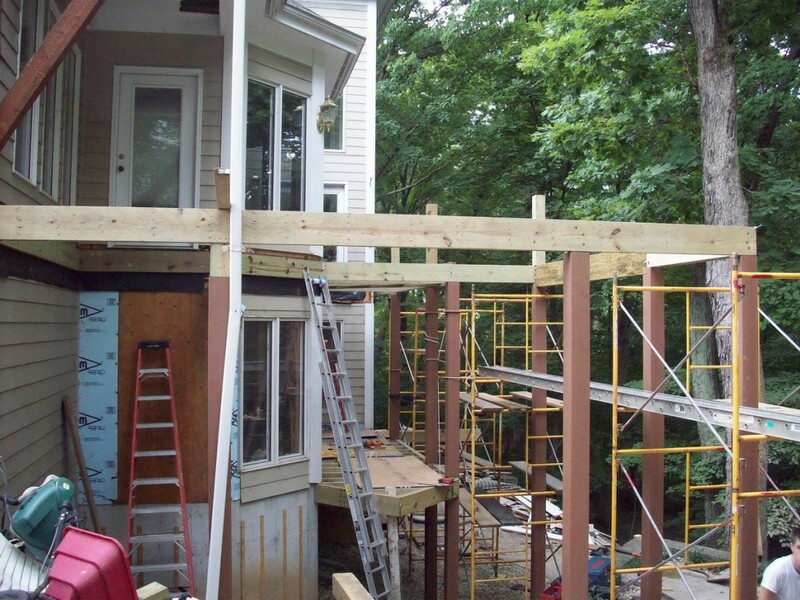 We level all houses on the foundation before framing starts. Our sub-floor nailing schedule exceeds industry standards. We use cripples and jacks on all doors. The team sets the windows after the wall is stood to assure a perfect set. Heartlands uses temporary construction doors to prevent dents or scratches to your new doors. Butyl adhesive is laid under doors to prevent leakage. We double-check all material for any defects before it is covered and replace if need be. We clean your home at the end of each stage of the project and maintain an orderly and debris-free appearance for you, your new neighbors, and your community. In addition, with your approval, we will provide 24-hour contact information to your neighbors should they have a concern with the condition of the site, traffic, parking, etc. We’ve got a great attitude and take great pride in what we do. We know we have the finest carpenters in town. Material has become very expensive. Most builders have gone to less expensive, poorer quality alternative materials. Heartlands has not. Heartlands still builds with wood, not plastic or particle board. We use Advantac plywood on our floors to assure a lifetime of service. 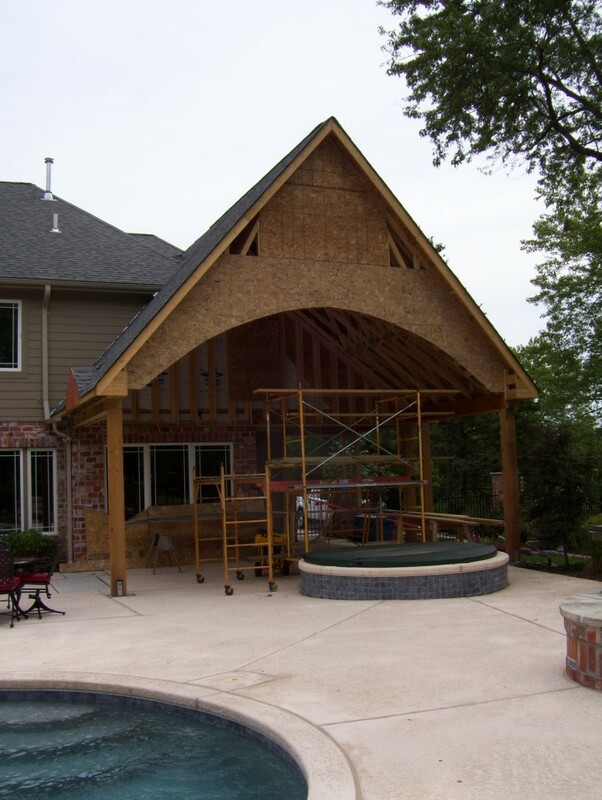 We do not use particle board, which tends to be replaced the first time it gets rained on during the construction of a new home. To assure a straight wall, we use premium 2×4 and 2×6 spruce studs, not 2×3 or 2×4 Douglas fir. We use solar reflective OSB sheeting on our roofs, not particle board. 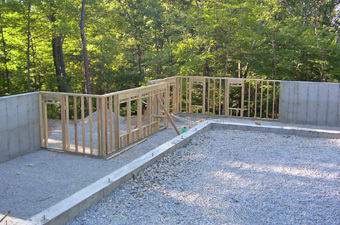 Heartlands uses engineered floor systems for sub-floor supports. We begin with a pre-construction meeting where you will meet Heartlands’ construction manager and review in detail the necessary building stages of your home. We want to be absolutely sure we understand what you want. Our foundation crew is an industry leader, with the project manager on-site during the setting and pouring of your foundation. The crew pours immaculate walls that are level and square. They also double-check that no debris is left in the over-dig to protect against undue settling and termite problems. We snap the ties and dab them with tar before the waterproofing takes place. This method gives double protection to the waterproofing process―a minor but important task for water protection years from now. Your home will include the foundation drain system. The foundation sits for a minimum of seven days in curing time. Back-filling any sooner would seriously jeopardize the integrity of the wall. Heartlands is never in a hurry when it comes to quality. Heartlands orders and delivers the steel beams, columns, and first floor sub-floor before anything else. We will deliver the wall load and roof load when we need them as well. It is very important to Heartlands to deliver the loads in increments, preventing them from sitting in unnecessary conditions. We also cover construction materials in the winter. Once the sub-floor arrives at the home, Heartlands’ framing crew begins construction—not a sub-contractor running and gunning for hours and profits. This is very important to Heartlands. We use our own employees, assigning tasks based on their strengths and attention to detail. Framing a home is different than finishing, but attention to detail pays dividends in fitting cabinets, bookshelves, arched openings, and etc. Once the home is completely framed, Heartlands performs a series of quality checks. We then walk the home with you and inspect to assure accuracy. The electrician, plumber and HVAC contractors arrive on schedule. We use consistent professionals and they never rush. 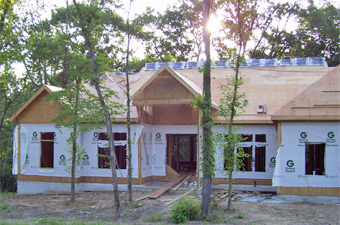 Heartlands performs a very unique process after the sub-contractors pull out and before we insulate and dry wall the home. Our laborer comes in, cleans the house, and then blows it out with a compressor, eliminating dust and debris from within the walls. Another unique process at this point is that we install the floor register covers, preventing debris from falling into the duct work. After installing and finishing the drywall, we paint the home. We spray the home, then back-roll it with the finest paints on the market. It is important to point out that we clean the painted surfaces to eliminate dust and debris before painting commences. Painting over such dust and debris yields a finished product that is not acceptable to Heartlands. The painting of the interior is an area we should discuss to yield a truly custom home. The color selection and painting methods are important to the final product―you may wish to consult with an interior designer on the finish package, bringing together cabinets, counters, plumbing fixtures, lighting fixtures, flooring, wall and ceiling colors, and textures. After the home has two coats of paint, Heartlands scrapes the sub-floors and inspects them for flaws. Once we have finished inspecting the floors, we install the solid floors. We then cover the solid floors wall-to-wall. We tape the cover down tight to protect your new floors during final finishing. If there is a carpet installation, our laborer vacuums the home before carpet goes in―it is just not logical to cover the dust! Our clients are blown away with this attention to detail! Heartlands inspects the floors one more time and then makes sure the carpet is laid. After the carpet is laid, the laborer covers the floors from wall-to-wall to protect the new carpet. Heartlands’ trim carpenters arrive and put their touch to your home. Nobody holds a candle to this crew. These individuals are employees of Heartlands with a passion for quality. The trim carpenters complete the punch list for the house. They fine tune doors, cabinets, caulk, etc. When this is complete, the painter returns to re-roll and touch up the entire house. After the trim carpenters and other sub-contractors leave the house, we walk it and inspect the home for flaws and follow up. Now the home goes through a series of quality checks. Heartlands fixes all items before the final client walk-through. We walk the home with the client. We know every inch of the home at this point. Home project closed. You move into your sparkling new home! Our service mission statement: To provide a timely response and action to any and all issues. Heartlands tracks service issues until completion. We prepare a tailored walk-through checklist and use it as a basis for our three and ten month walk-throughs. We employ a representative in the office, assuring customers are taken care of during and after the closing of your home. The representative, as well as the builder and construction manager, are available to you through email, phone, or fax. The builder also provides his home and cell phone numbers. After closing, Heartlands records any remaining items from the pre-closing walk-through. They also generate and track service orders until completion. Heartlands provides a one-year warranty from the date of closing or the completion of the service issue. At the three month walk-through, Heartlands addresses any service items in addition to completing the tailored checklist. Heartlands addresses any drywall settling and paint touch up issues at the 10 month walk-through. We will only be responsible for touching up walls painted by our team prior to closing. Plan review meeting with you, and builder meetings with electrical, plumbing and HVAC contractors. 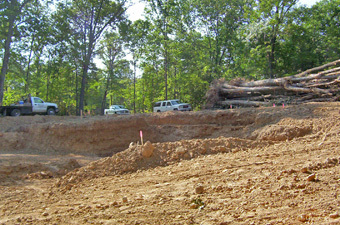 Stage 1 | Stake out home and excavate. Pour footings and foundation. Stage 2 | Backfill foundation. Stage 3 | Sub-floor and walls framed. Stage 4 | Set trusses and sheath roof. Stage 5 | Mechanical roughs: HVAC duct rough, plumbing rough, electrical rough, pre-wire phone, TV outlets, data and security, central vacuum system. Walk-through and any required municipal “rough-in” inspections. Stage 6 | Wall insulation installed. Hang drywall. Stage 7 | Tape drywall. Paint drywall. Stage 8 | Cabinets and countertops installed. Stage 9 | Doors and millwork installed and painted. Stage 10 | Flooring installed. Mechanical finish — HVAC, plumbing, electric. cleaning. Stage 11 | Final trim and cleaning. Final inspections as required by your municipality. Stage 12 | Closing and move-in.